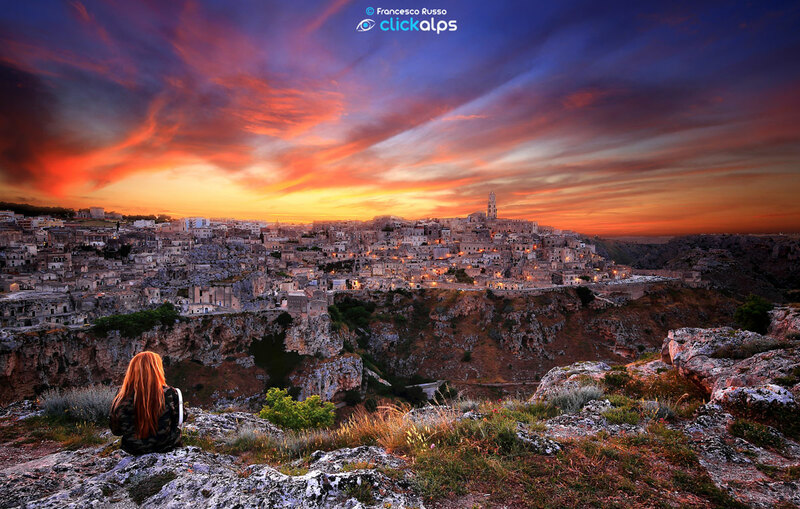 Across the canyon, which was carved by the Gravina river, we see the ancient city of Matera in southern Italy. It was recently declared the European Capital of Culture for 2019. At the edge of the canyon you can see the Sassi di Matera, ancient cave dwellings that are suspected to be among the first human settlements in Italy, dating back as early as 7000 BC. Situated in the old town, the historical center of Matera was declared an UNESCO World Heritage Site in 1993.